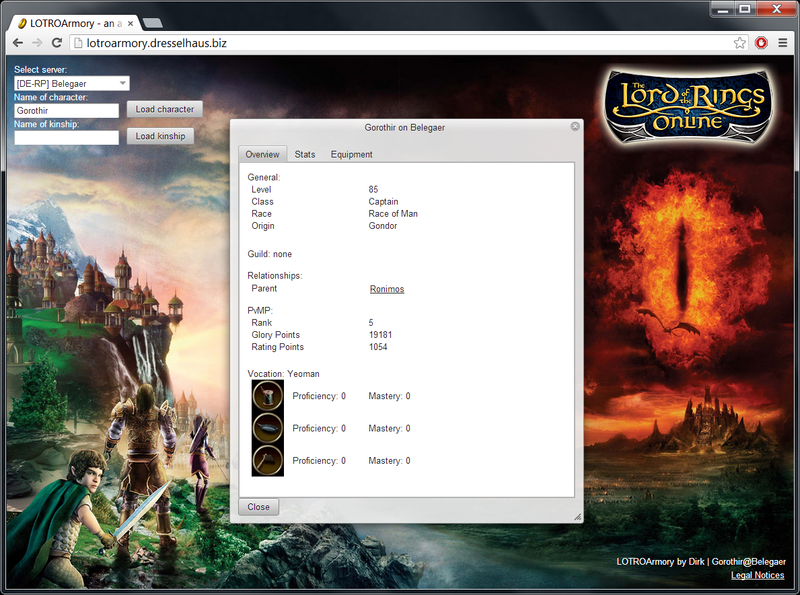 I wanted to test the Java framework Vaadin and to make this more interesting (and perhaps somehow useful), I decided to implement the data.lotro.com-API of the game The Lord of the Rings Online by Turbine and create an armory/arsenal where the user can easily compare characters. I chose Castor XML as XML framework. 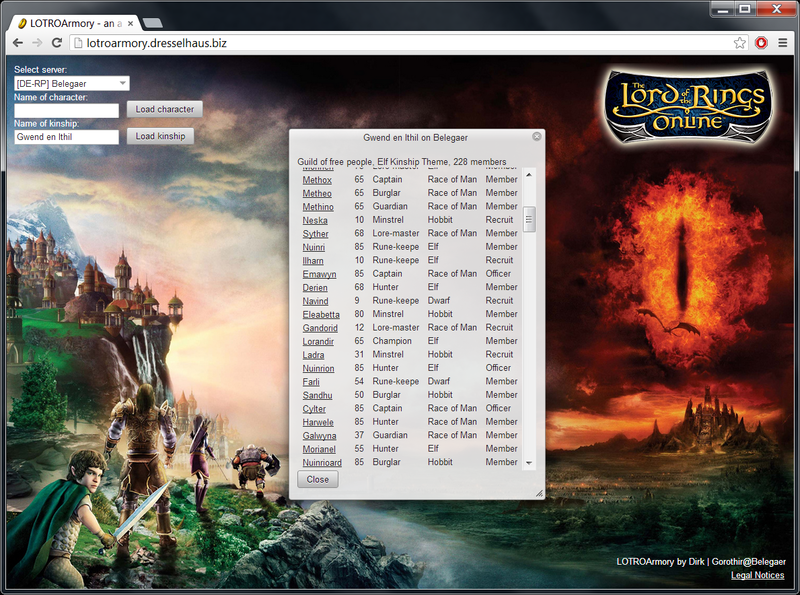 Unfortunatelly the data.lotro.com-API is not always accessable and sometimes disabled by Turbine, so that it is not possible to get information from the server. Because of that I recently implemented a method to load “old” data from the local database by enabling the checkbox “Use local database”. 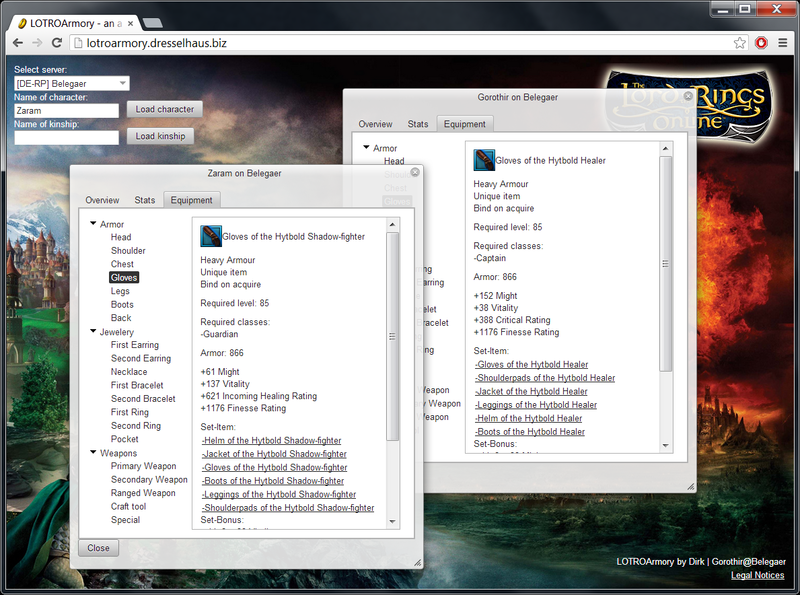 Furthermore the API is also not complete and not able to provide all data (e.g. newer items are often unavailable). 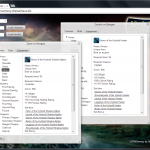 LOTROArmory: display character info of "Gorothir"
LOTROArmory display kinship information of "Gwend en Ithil"
Enable checkbox “Use local database” if error occurs (which means that the data.lotro.com-API is not available at this moment). 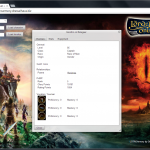 This entry was posted on 2013-03-22, 02:25 and is filed under Projects. You can follow any responses to this entry through RSS 2.0. Both comments and pings are currently closed.